With the well documented housing shortage said to be a ticking time-bomb and the government’s ambitious undertaking to build 200,000 homes by 2020 to address the shortfall, it’s clear that the traditional construction sector, in its current state, is unlikely to be able to meet the demand for new housing on its own. The advance of off-site construction technologies in recent times would suggest that off-site manufacturing has the potential to play a major role in resolving this issue and increasing house construction capacity enough to meet demand. Off-site construction aims to replicate the controlled environment that would usually be associated with manufacturing and apply it to the construction process by moving construction into a factory environment. Freefoam Building Products manufacture pvc product ranges that are the perfect fit for off-site construction, whether fitted in the factory or prepared for final fitting later. The External wall and roof are the two main elements of a buildings superstructure and the junction is critical for the long-term function of the building fabric. Freefoam roof trim system makes protecting the junction and the roof structure easy. Freefoam roofline product range is lightweight and easy to handle as well as having the required durability, both for transportation and when fitted, which is why Freefoam can confidently offer market leading guarantees of up to 50 years on roofline products. The Freefoam roofline system is designed to slot together with ease and includes a range of matching finishing trims for virtually any design scenario. This systemised nature means they can be fitted by a relatively low skilled workforce with minimal tooling and minimal waste, which aligns them perfectly with the benefits of off-site manufacturing. Freefoam’s Fortex and X-Wood cladding ranges are specially designed for rainscreen systems, which are a modern approach to external wall construction, perfect for achieving the breathability and high insulation levels required in modern, sustainable timber wall constructions. When fitted with insulation materials the Building Research Establishment (BRE) Green Guide to Specification has given PVC cladding an A+ rating. When fitted correctly, Freefoam cladding systems can be expected to protect the external fabric of the building for at least 20 years. The cladding systems are extremely lightweight compared to similar alternatives which makes them ideal for transportation and, like the roof trim systems, are designed to be installed quickly, by general tradespeople. Colin St John, Commercial Director explained “The controlled environment of off-site construction successfully replicates the benefits that we as construction product manufacturers have been accustomed to in our own factories for decades. High tolerance standards, product consistency, low waste and ease of assembly are already a minimum standard for all Freefoam products. 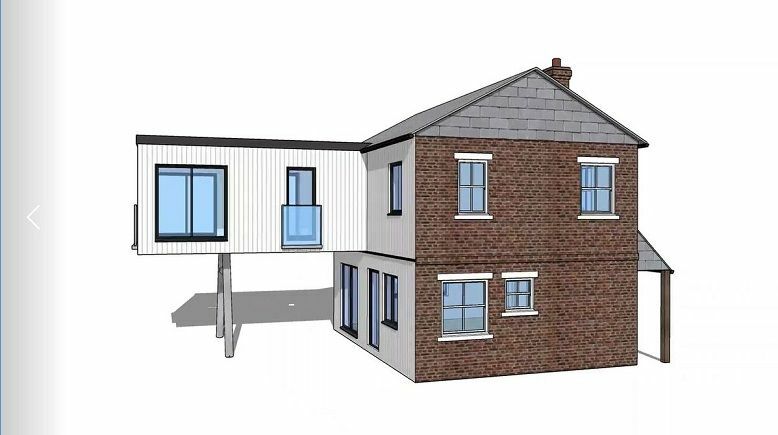 The evolution of construction into a manufacturing process dovetails perfectly with the systemised roofline, rainwater and cladding systems that we produce.